Unit at St. John’s to close in March. Sligo is to lose yet another health facility. 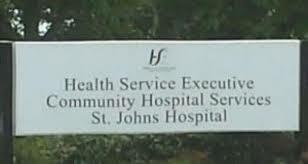 The Alzheimers Unit at St. John’s Hospital is to close with effect from next March. It’s not clear where family members there at present are going to end up. According to reports, the action is being taken on foot a Mental Health Commission report. However, it’s believed the move is part of a cost cutting exercise. The unit has been in place for the last twenty years. Sligo is continuing to be disadvantaged by Government decisions. The area is represented by four TDs – Martin Kenny, Sinn Fein, Marc MacSharry and Eamon Scanlon Fianna Fail – Scanlon is the party’s spokesman on business and jobs – and Tony McLoughlin, Fine Gael. Fianna Fail is supporting the Fine Gael-led Government.